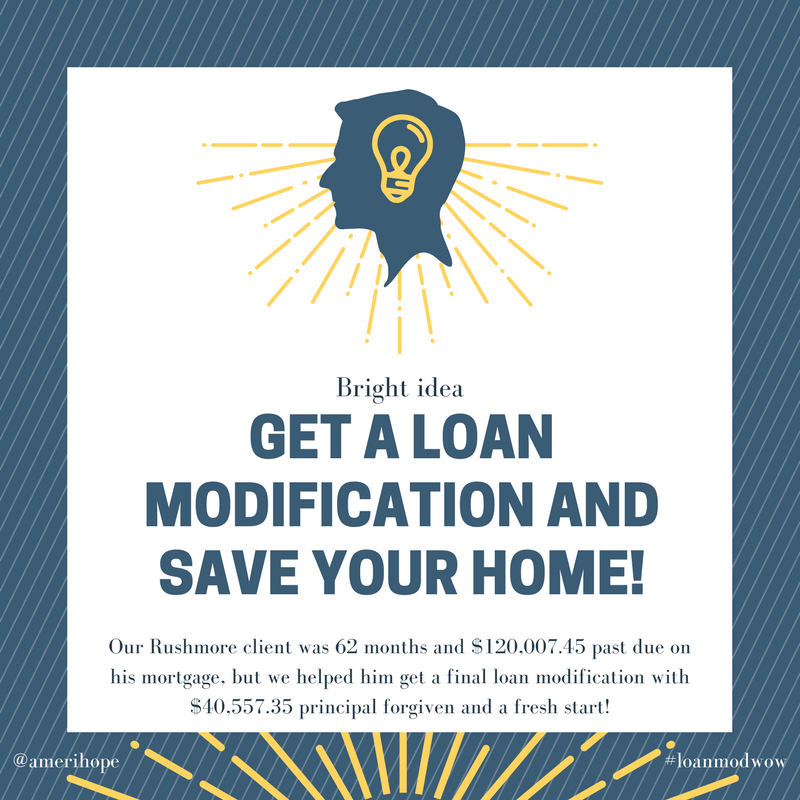 Our Rushmore client was 62 months and $120,007.45 past due on his mortgage, but we helped him get a final loan modification with $40,557.35 principal forgiven and a fresh start! 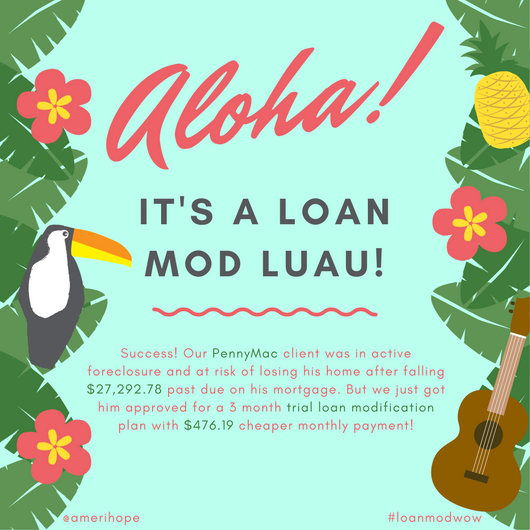 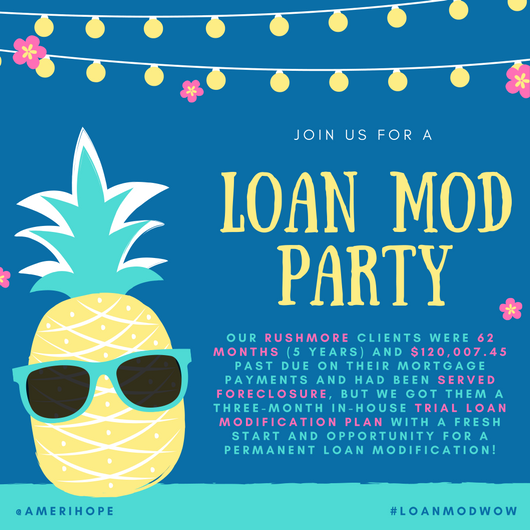 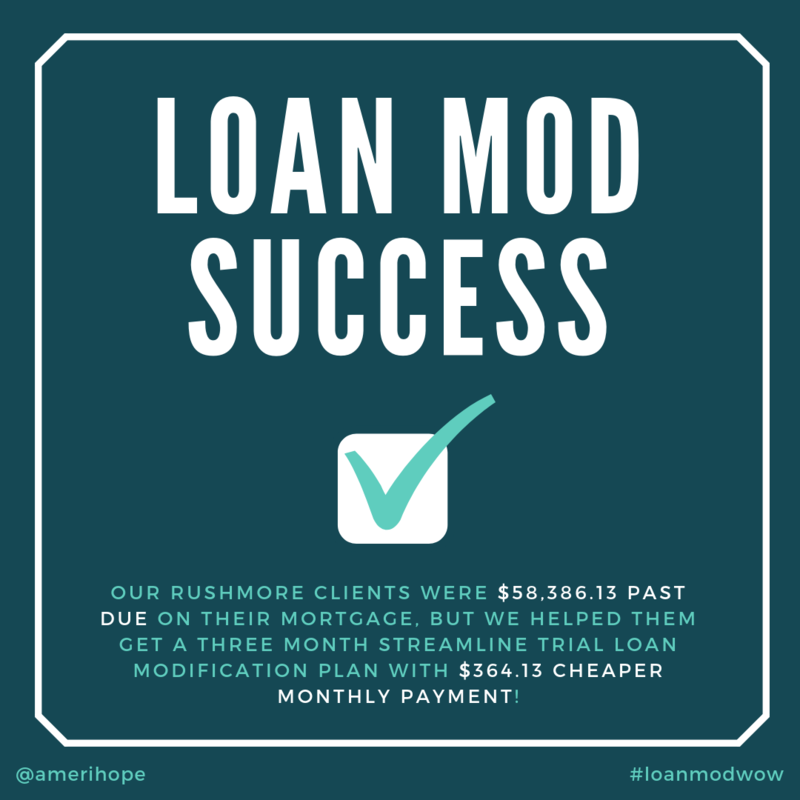 Our Rushmore client was 28 months and $70,701 past due on her mortgage, but is now approved for a permanent loan modification with low interest rate and $433.11 monthly savings! 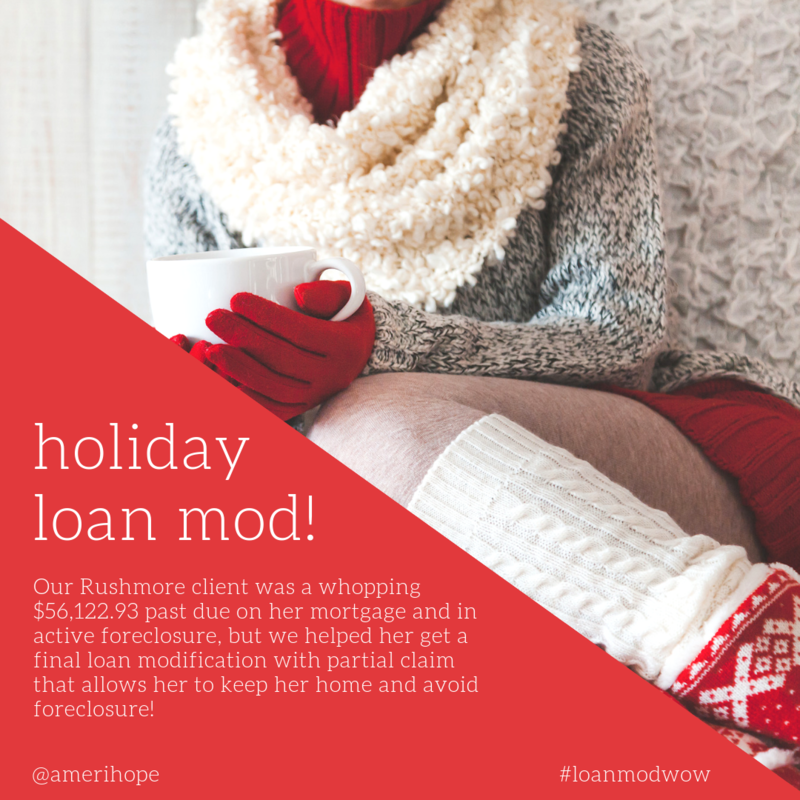 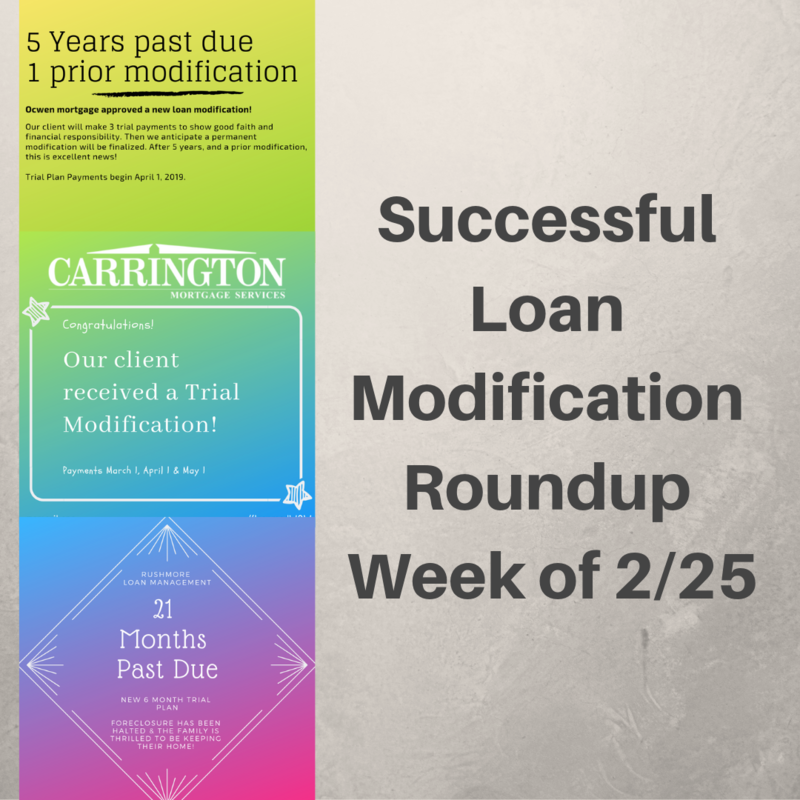 Our Rushmore client was $37,929.55 past due on her mortgage and in active foreclosure. 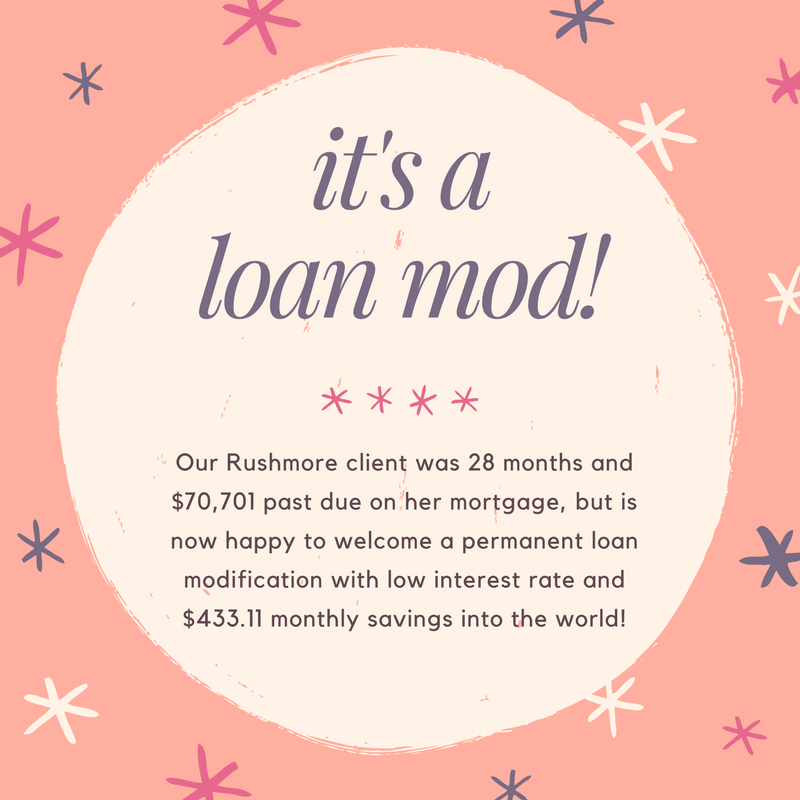 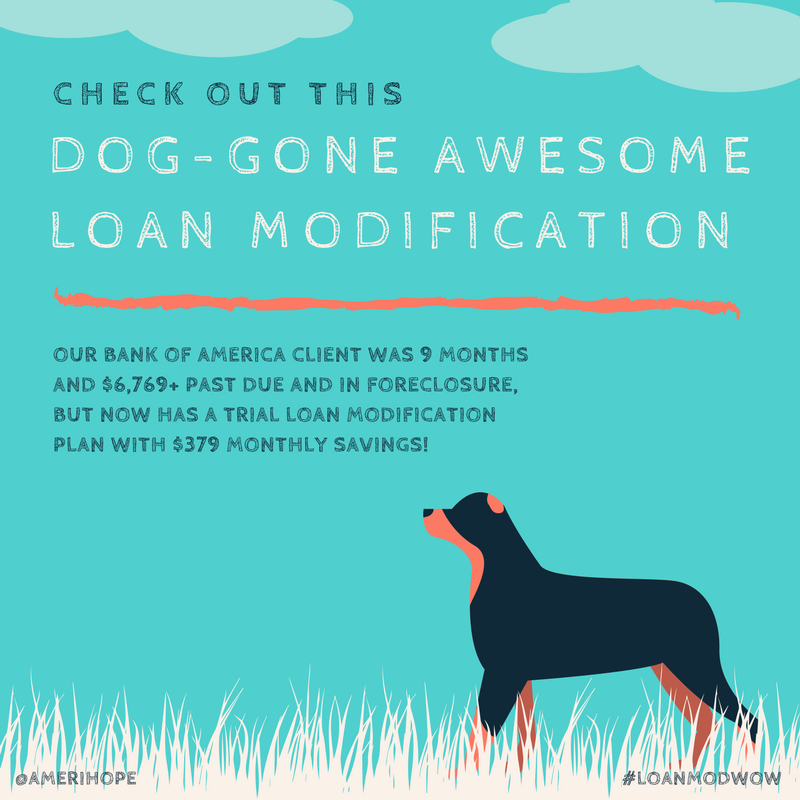 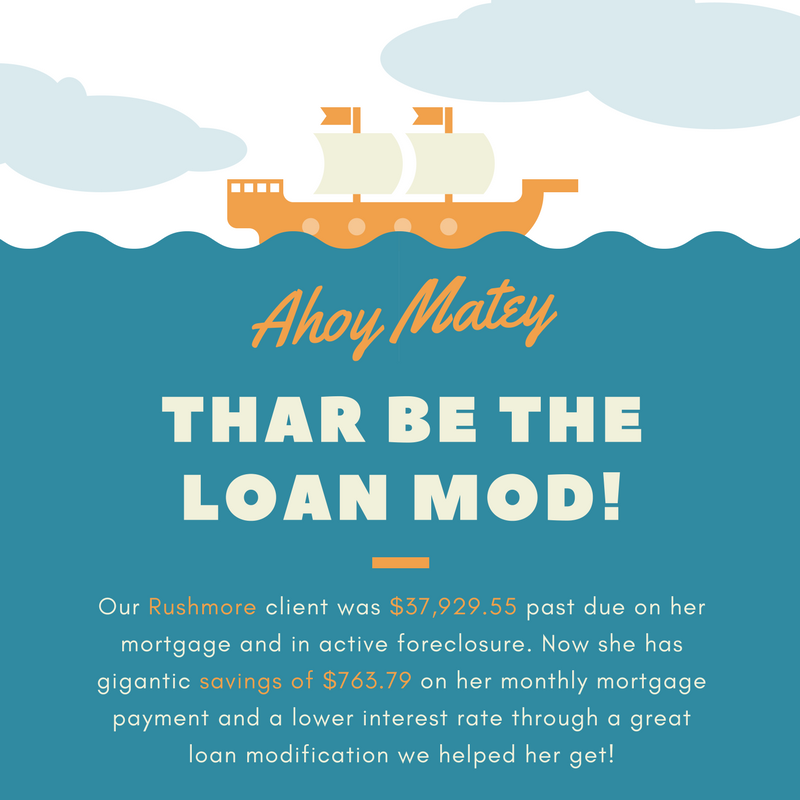 Now, after completing her 3 month trial plan, she has gigantic savings of $763.79 on her monthly mortgage payment and a lower interest rate through a great permanent loan modification we helped obtain! 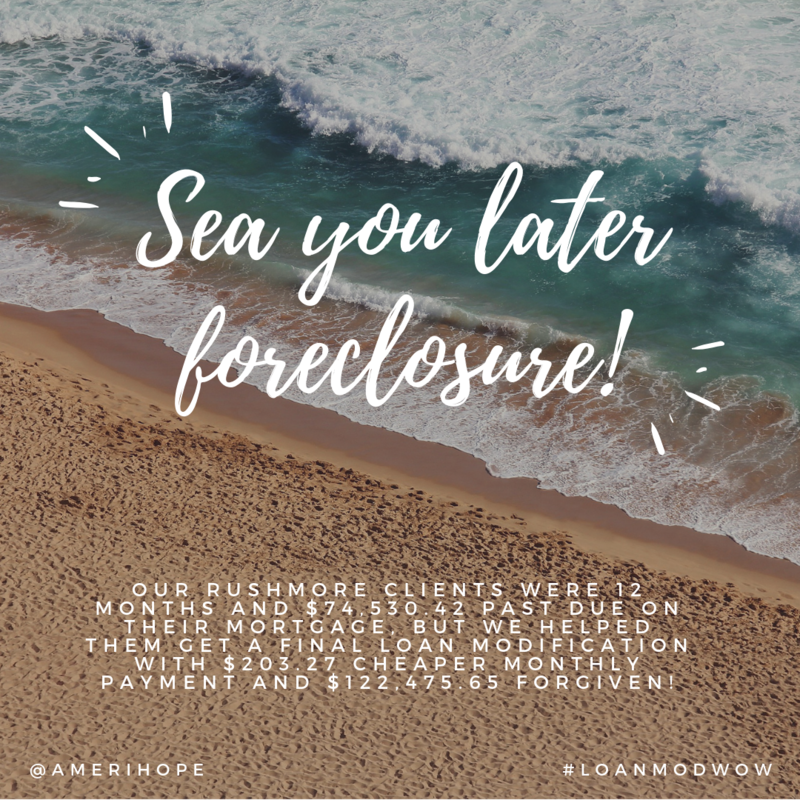 Next step: foreclosure dismissal.